Our ability to consistently provide products and services that meet customer and relevant statutory and regulatory requirements. We can facilitate opportunities to enhance customer satisfaction. We address risks and opportunities within the context of projects and processes; and our ability to demonstrate conformity to the QMS requirements. 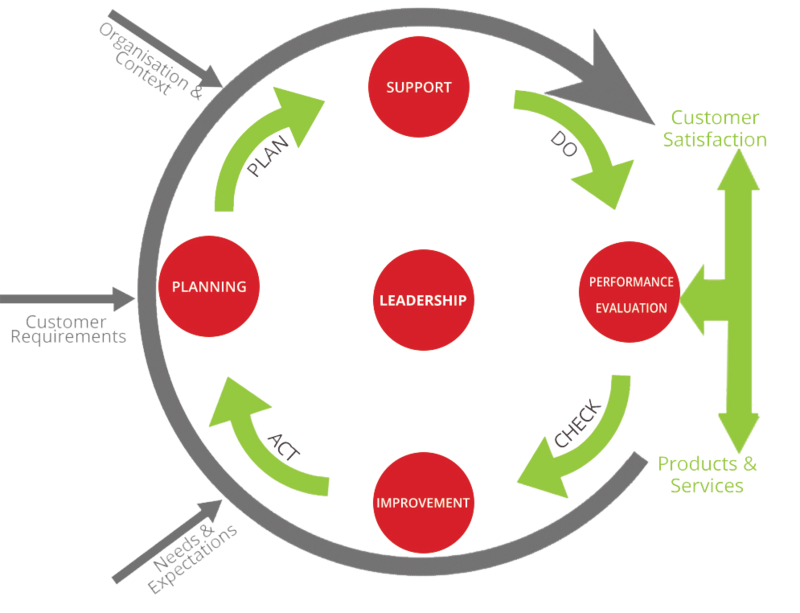 P – Through effective Planning we can establish the objectives of the system and process requirements, the resources needed to deliver results in accordance with the customer requirements and the organisations policies, and identify and address any risks and opportunities. D – By Doing we can implement what is planned. C – Through the Checking we are able to monitor and where applicable measure processes and the resulting products and services against policies, objectives, requirement and planned activities and report the results. A – Finally, we can Act, taking actions to improve performance where necessary.